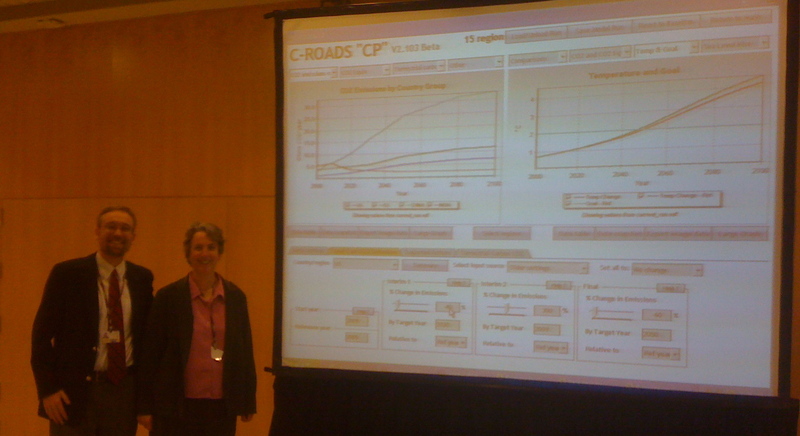 Dr. Beth Sawin and I unveiled the new interface to C-ROADS today in Barcelona, at the UN meeting. We’re thrilled to have a stand-alone version that we can share with all the UNFCCC negotiation parties (and particularly their analysts). This “common platform” version we hope will enable multiple parties to calculate what levels of proposals to COP15 will meet climate goals such as limiting temperature increase to 2 degrees C.
Delegate Grace Adhiambo, who helped explain the concerns, led Africa in the simulated “Copenhagen Climate Exercise” that we ran using the C-ROADS simulator in Gotland Sweden this summer. 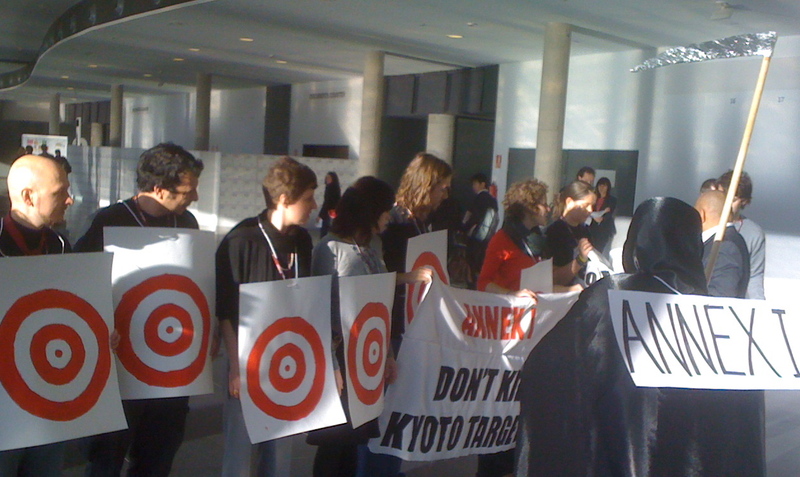 Before the press conference, I ran into her in the hallways and said that the same issues were coming up in Barcelona as we simulated in Sweden!